The Rams, desperate for a QB, reached out to Brett Favre Sunday night. He told them thanks for the offer, but "no way in hell" he's coming back. 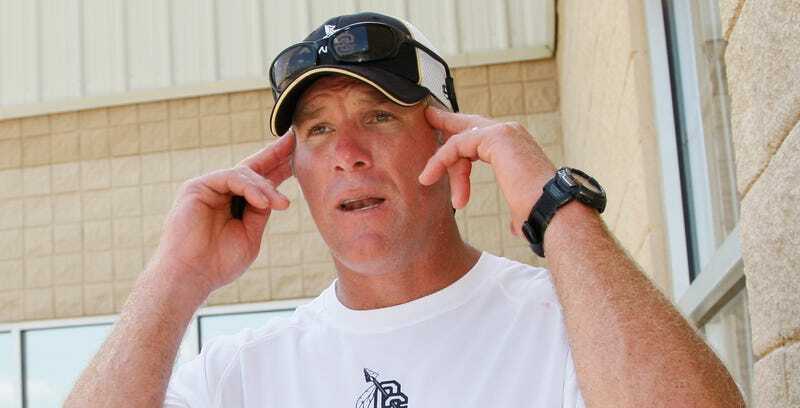 Yesterday, Favre expounded a little more on why, at age 44, he's done. The answer's a familiar one: He's already feeling the mental effects of a career's worth of hits. I swear that when I read about CTE, or watch a story about it on TV, I feel an electrical current shoot through my brain. I forgot where my keys are. Is that life or is that CTE? I can’t find a job. Must be the tau protein build-up. I am sad and I am depressed and suicidal thoughts, like raindrops, come down from the sky on seemingly sunny afternoons. Is this science, or the realization that my life peaked in my twenties? I have no skills other than football and no idea what else to do.